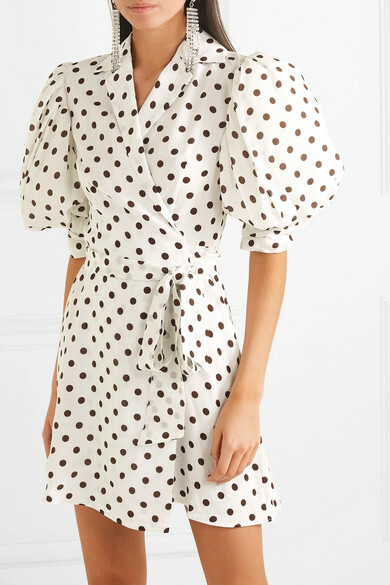 Alessandra Rich's Spring '19 show in Paris was a hit on Instagram, thanks to the '80s silhouettes and chic styling. 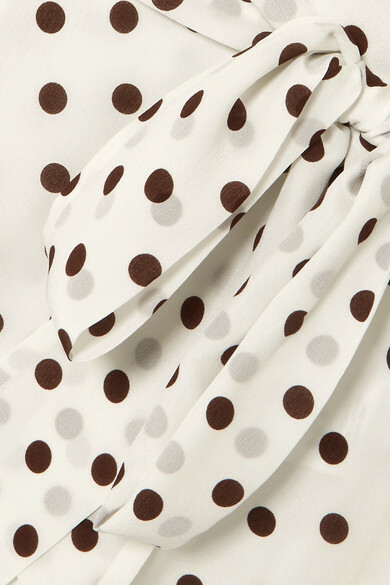 Modeled on the day, this puff-sleeved wrap dress is cut from white silk-crepe with chocolate polka-dots and has a sharp collar and lapels. Take cues from the runway by adding a headband and oversized crystal clip earrings. Shown here with: Miu Miu Shoulder bag, Alessandra Rich Pumps, Alessandra Rich Earrings.